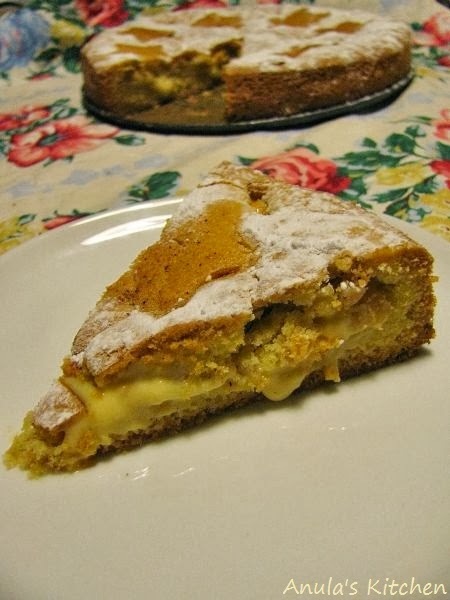 Apple pie with custard is perfect combination, a match made in heaven! So... why not combine both within the pie?! It's nice, creamy and moist, not too sweet (because of the custard and plenty of cinnamon). I've put an extra attention into slicing my apples to make sure they're completely baked and not crunchy - I like soft but not "mushy" apples in my cakes, but that's just me ;) I'm afraid that I wasn't brave enough (nor did I have enough time on my hands) to make custard from scratch - but if you can, by all means do! Now, as I have moved out from my family home, I can't imagine Christmas without those lovely little treats, the smell of those cookies being baked announces to me that yes, Christmas is truly on its way. Now it's my time to pass those Christmas traditions and in a way create some new ones with my two little sous chefs :) so the tradition (and the recipe) can live on. I know that the quantities are quite "generous", but with giving away good few of them and the fact that they keep well for so long, I always make a big batch. You can easily divide the recipe by half (then use 2 egg yolks + 1 whole egg), but who would want to do that? Enjoy! I'm a HUGE fan of liver - especially lamb's liver. It has very delicate and slightly "herby" taste to it. It's not very popular in Poland, as lamb is not the most popular meat (mainly because of the high price) but fortunately in Ireland it's widely available and not so expensive. Word of advice - find a good butcher, a really good one! I normally do all my "meat shopping" in the same place, but my butcher's shop is not in town and on this occasion it wasn't on my way at all. Thinking - all butcher shops should be the same and a liver is just a liver, I bought it somewhere else... Well, won't do my shopping there again! It wasn't "cleaned" and I feel cheated - if you've ever seen a liver, you know that besides cutting it into slices it should be trimmed - it was not! I've spent good 10 minutes trimming my liver and surprise, surprise - after that "operation" I had to discard a bit. I know that profit margins might not be the biggest and that there's some work involved in it but... Qualified butcher would do what I have done in half the time! Yes, it would be "lighter" on the scales and they would make less money because of it, but... they wouldn't lose a client! So find a good butcher and stick to him/her! Even if you have to pay that little bit more - it will pay off in the long run, trust me. Back to my dish - I know that title says "casserole" and you can't(!) cook liver for too long, as it will get really tough and not nice at all, but the way this dish is cooked guarantees you soft, delicate liver full of flavor! The above dish is based on a recipe from "The Spanish, Middle Eastern & African cookbook" by P.Aris. Ireland meets Spain - on the plate anyway. This little dish, with hardly any cooking at all, is great idea for a little starter. I believe that every country in the world has its own version of black pudding, every version little different - depending on the ingredients, herbs available at hand. Only in Poland I know that there are at least 2 different version of black pudding, depending on the region you live in, so I can only imagine all those different versions around the world. Spain - morcilla de Burgos which contains mainly pork blood and fat, rice, onions, and salt. Other varieties introduce breadcrumbs, pine nuts, and almonds. Chile - may contain a variety of ingredients, such as chopped onion and spices, cabbage, peppers, watercress, rice, meat or even dried fruit or nuts. Ragu: Meat sauce, Bolognese style... based on recipe by Marcella Hazan. Spaghetti is one of the most favourite dishes in my house. I always want to freeze a portion, so I can have it as a quick dinner during the weak, when I get back from work but... there's usually nothing left to freeze... This recipe intrigued me from the very beginning as I've never made my spaghetti sauce with milk. I must admit - I was missing something really good. The meat is only sauteed, not browned and the milk makes it extra soft and delicate. Long, slow cooking creates creamy, thick and slightly sweet tasting sauce. 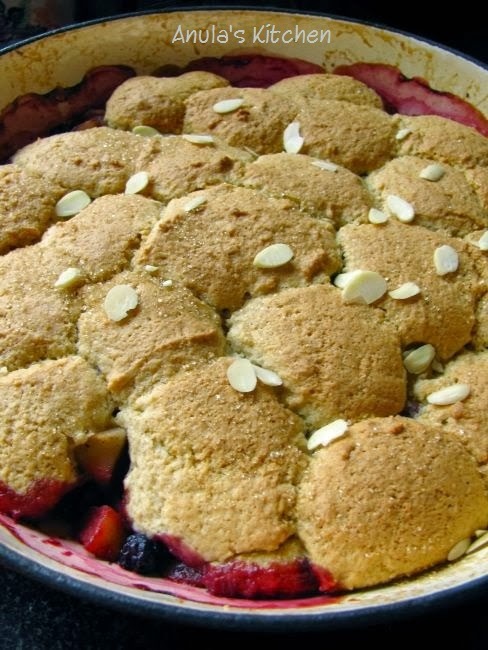 A great recipe, easy to make - you just have to leave it bubbling away so the time can do its wonders! This recipe comes from a fantastic cook book "The Irish beef book" and was inspired/based on Marcella Hazan's famous ragu recipe. This is only my second time making stew using beef shin - why, oh why I'm not using it more often?! Such a fantastic piece of meat, soooo good in stews and in general for slow cooking, so delicious and tender when cooked properly, so very "beefy" and so not expensive like other cuts of beef! This recipe is "all in one pot" type - which saves you a lot of mess and cleaning, washing up after too. I'll definitely make it again, very soon, as it's this type of comfort food which goes very well with the weather we're experiencing at the moment (miserable, windy, rainy, wet, cold days and nights). Recipe taken from "The Irish beef book" by Pat Whelan & Katy McGuinness. I've already attempted making cornbread once, but as I wasn't entirely happy with the result I decided to give it a go one more time. This time my bread turned out completely different. It had more bread than cake consistency. Little crumbly but still moist. Could probably have more colour on it, but I'm thinking of slicing one loaf and frying with some butter :) First loaf was used entirely for dipping in hearty stew - which created rather perfect relationship. This recipe comes from "The Irish beef book" by Pat Whelan and Katy McGuinness. I halved the recipe and ended up with two nice size loaves, so if you don't have a big family (like myself) half of the quantities below will be plenty. 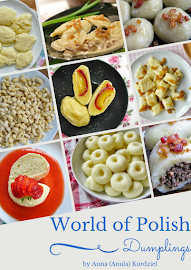 This is something that reminds me hugely about my childhood - my Nana makes them, my Dad makes them :) I'm pretty sure that each and every family in Poland has their own version of this little treat. You can make them on their own, yeast version, with no filling at all. I like mine with a slice of apple inside (of course pealed and cored). Apple get nice and soft and gives it sweetness. The below version is an easier one - instead of yeast, baking powder is used. So... what are you waiting for? To the kitchen! "Preserves - River Cottage Handbook No. 2"
River Cottage has a series of great books which are handy guides, in a small format and thick cover. Hugh Fearnley-Whittingstall is a real passionate "foodie" (producer, consumer) - something which hugely contributed into creation of those books. As it's already autumn in the air and it is THAT time of the year for making jams, relishes etc. for the coming winter (and the whole year round) I've picked this book from my shelf to write about - and highly recommend it to you! Pam Corbin is very strict on health and safety, but everything in a modern, not over complicated way. 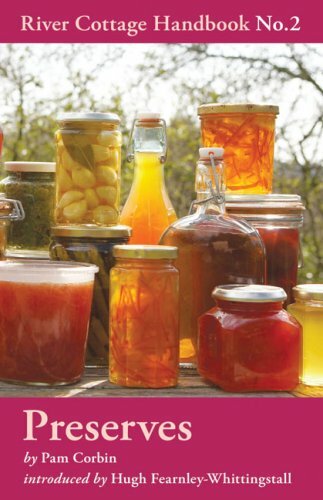 There are some really useful tips about sterilising, filling and sealing, all in a form of handy, easy to read tables - so even if you're complete novice when it comes to making your own jams, pickles, she'll take you all way through.She explains everything, covers all the basics and more. Explains that like chutneys are not marmalades etc. This book is like a mini encyclopedia of all things in jars. Of course the real test is in the recipes. I like the way in which book is written and divided into useful and thematical chapters. Each recipe is on its own page and there are lots of useful illustrations.I love the seasonal advice that tells you when to make a particular preserve. Pam also suggests interesting variations which you probably wouldn't think of yourself, like: Whiskey marmalade, Indian spices (like fenugreek) in the rhubarb relish, Pickled crab apples instead of pears and many more. Things I was surprised with are the recipes on how to make: passata, fruit leather(! ), quince jelly and compost heap jelly. She also tells you how rewarding it is to make your own jam or jelly, way more better (and healthier) than buying one from the shop. More to that - this book also teaches about seasonality, which seems to be forgotten in our modern, hectic lives. Honestly - if you're looking for a big in content, but small in size, book about food preservation don't look any further! Pickled eggs are literally everywhere when you live in UK or Ireland. I finally(!) had to try them. I didn't want to go to the shop tho and just buy them as I was afraid they will be very vinegary (and I'm NOT a fan of vinegar...) So after finding something on Pinterest I decided that it's a high time I finally man up and do it! ;) I was pleasantly surprised how easy it was to prepare it - apart from boiling the eggs there's hardly any work involved. You just have to wait a week and... you'll end up with nice, spicy, not boring eggs - perfect for your sandwich, salad or just on it's own with ketchup (as my lil Baby J liked the most). "Pickled eggs are typically hard boiled eggs that are cured in vinegar or brine. This was originally done like many foods as a way to preserve the food so that it could be eaten months later; pickled eggs have since become a favorite among many as a snack or hors d'œuvre popular in pubs, bars and taverns, and around the world in places where beer is served. This simple recipe for baked potatoes is all over the Internet (especially on Pinterest). I finally had to try them. Just the other day we got quite big rooster potatoes and I thought they'll be perfect for that! It turned out to be very easy (although a little bit tricky) to make and the taste is amazing. A cross between baked/roasted potatoes and French fries. Delicious! While doing some research on this method of roasting/baking potatoes I've learned that the recipe originates from Sweden and that traditionally it also calls for breadcrumbs and cheese. My version was simpler (but I'll be definietly trying the original idea very soon!). Today is National Potato Day so I thought of gathering my favourite potato recipes and telling you a little bit about Irish love affair with this humble spud and about the spud itself. The origins of the potato can be traced to the highlands of the Peruvian Andes-mountains in South America on the border between Bolivia and Peru, 8,000 years ago. There, research indicates, communities of hunters and gatherers who had first entered the South American continent at least 7,000 years before began domesticating wild potato plants that grew around the lake in abundance. Some 200 species of wild potatoes are found in the Americas. It is thought that the potato reached Europe in the hands of returning Spanish explorers around 1570. How the potato came to be introduced into Ireland is not precisely known, though popular myth credits its introduction at Youghal, Co. Cork by Sir Walter Raleigh. Other anecdotal evidence suggest that the potato was washed up on the shores of Cork after the wreck of the Spanish Armada in the area. The “Great Famine” in Ireland from 1845-1849 was caused because the potato crop became diseased. At the height of the famine at least one million people died of starvation. This famine left many poverty stricken families with no choice but to struggle for survival or emigrate out of Ireland. Towns became deserted, and shops closed because store owners were forced to emigrate due to the amount of unemployment. Over one and a half million people left Ireland for North America and Australia. Over just a few years, the population of Ireland dropped by one half, from about 9 million to little more than 4 million. There are now over a thousand different types of potatoes. Potatoes have become an integral part of much of the world’s cuisine. It is the world’s fourth-largest food crop, following rice, wheat, and maize. In Europe per capita production is still the highest in the world, but the most rapid expansion over the past few decades has occurred in southern and eastern Asia. Potato consumption is expanding strongly in developing countries, which now account for more than half of the global harvest and where the potato’s ease of cultivation and high energy content have made it a valuable cash crop for millions of farmers. China is now the world’s largest potato-producing country, and nearly a third of the world’s potatoes are harvested in China and India. 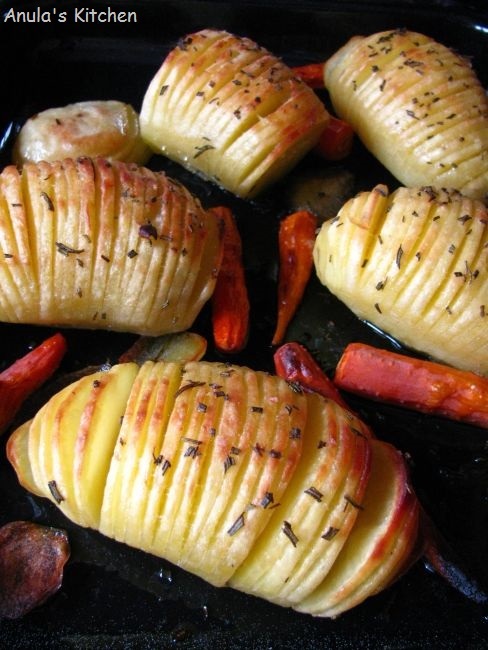 Rooster - Rooster is the most widely grown potato in Ireland and is available all year round. The variety has red skin with yellow flesh. The good skin finish and uniform shape with shallow eyes makes it easy to peel. The texture allows it to have a wide range of uses such as boiling,steaming,baking,roasting and chipping.Rooster is also easier to cook than other floury varieties. 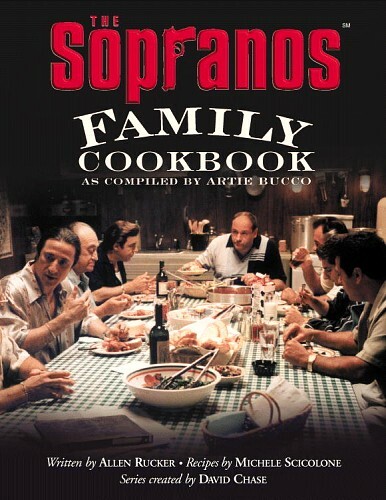 "The Sopranos family cookbook: As compiled by Artie Bucco"
Chapters: Introduction by Artie Bucco, Cooking the Neapolitan way, The Soprano family tradition (Corrado Soprano Jnr), Sunday dinner (Janice Soprano), Feeding my family (Carmela Soprano), Mis Cucina (Artie Bucco), Cooking for the whole famiglia (Charmaine Bucco), Rage, guilt, loneliness & food (Dr. Jennifer Melfi), My Nucci (Paul Gualtieri), Cibo D'Amore (Adriana La Cerva), Grilling - Italian style (Anthony Soprano), If I coudln't eat, I'd f***ing die (Bobby Bacala), Afterword by Artie Bucco. I'm a BIG fan of the TV series The Sopranos, so immediately when I only saw this cook book I just had to have it :) It's great! If you are a Sopranos fan and a foodie as well, you have to have it. If you watched even only one episode you'll know that the food is an important part of their lives - they are eating something almost constantly! Lots of family parties, lots of wakes... Christmas dinners, BBQ etc. All the recipes in the book are easy to follow and with very clear instructions. You wont find ingredients that are hard to get, so all the dishes in the book will be available for you to make. The dishes I'm immediately thinking of when watching The Sopranos (mainly because they are 'family favourite and always present) are: Struffoli (p.31), Giambotta (p.42), Manicotti (p.56) or Ziti al Forno. This book isn't a cook book as we know it. It's more a little history of The Sopranos Family and Italian/USA cooking traditions. The big appeal of this particular book is the way in which it ties into the show itself, which is visible here in the form of in-character narrations (different in each chapter) - Artie Bucco gives the history of Vesuvio's and shares a chapter of restaurant style recipes (he's also the main narrator in the book), Charmaine Bucco discusses the challenges and etiquette of professional catering before revealing some recipes that are easily prepared for a bigger crowd of guests, Adriana La Cerva gives a chapter of romantic recipes and tips for that perfect "dinner for two", Tony himself talks about Perfect grill party and Carmela about family gatherings. The chapters show characters well too, especially Janice's self-centered and artificial memories of days growing up around the Soprano family table and Uncle Junior's views (not only on food). There are many large photographs from the show as well as some letters and other family keepsakes. If you - as I - love The Sopranos... you really need to have this cookbook in your collection. 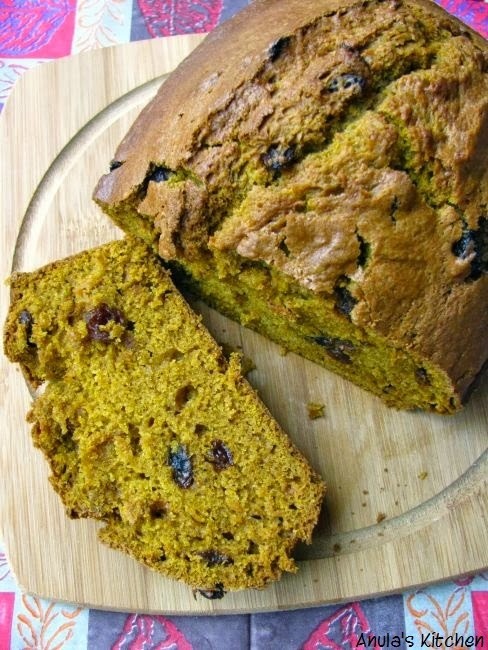 Very easy to make and sooooo delicious! Quick and easy - perfect meal for lunch. I'm always a "yes person" when someone even as much as mentions an apple pie/tart! Michel Roux's apple tart/pie isn't any different! What's more - I think this is one of THE BEST apple tarts I've ever eaten! OK - there's a little bit of work involved here but result is SO worth it! The finished tart looks stunning - would be a perfect centrepiece for a party :) The pasty is short, crispy and buttery and what's on top of it is just pure heaven! :D You DO have to try it! My favourite of eating it - warm with a bit of vanilla ice cream on the side. 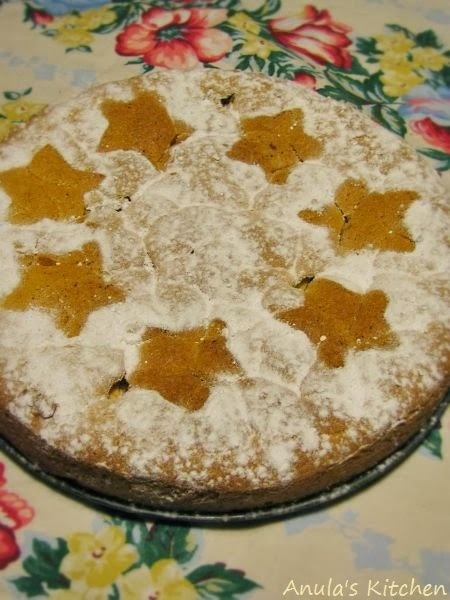 This recipe comes from a fantastic book "Pastry" by Michel Roux. I know... I've been away for quite some time - a month to be exact. I know there's no excuse for neglecting my passion - which is cooking & baking and I DID neglected it, not only My Kitchen (blog) but cooking/baking in general... and I also neglected you. I'm sorry. My life is a little bit hectic recently. I'm a little bit lost in all that but... During last week I've found that cooking and even more so - baking, brings me peace, relax, takes me away from everyday life rush, worries, troubles. Allows me to spend some quality time with my Lil Baby J - who LOVES baking with her mummy - and also allows me to be alone, in my kitchen, busy behind the stove or putting together a cake or something sweet. Gives me a little bit of "me time" - which all of us need from time to time. Fortunately no big "dramas" in my life - just everyday life: work (which gets to me quite badly recently), money, what to do in life/future etc. To do something for myself I've started walking (don't know what's the proper name for it - power walking/fitness walking?). It allows me to clear my mind, keep in shape and achieve some personal goals, prove myself in some way, shape or form and I already have some personal achievements on that front (finishing of 10K race). Back to cooking and baking - I'm back for good! You won't get rid of me so easily ;) So I hope you're back with me too! Ready for some delicious sweet and savoury dishes! And we're starting with something easy, quick and perfect for summer BBQ! Enjoy! Classic Pineapple Upside Down Cake... by Anna Olson. I'll be making it again - and soon! I'm just thinking about trying some other fruit, like peaches for example. Any other ideas in regards to what would work here? Have you tried it with something else than pineapple? Rhubarb chutney - Yes! After all it is season for rhubarb now and when you get a big bag of rhubarb for free you better use it all. Some of the rhubarb I got was already transformed into a delicious rhubarb crumble It was my first time making any kind/type of chutney ever! I'm not a fan of vinegar, any vinegar - I don't like the smell and taste isn't my favourite either. But saying all that the end result was fantastic! You can't really taste the vinegar itself, only a kind of "zing", you can definitely taste rhubarb and the spices - which aren't overpowering. A delicious accompaniment to cold meats, cheeses and pies and a star on the Christmas table and especially good with pork pie and a good cheeseboard. I found a basic recipe fr rhubarb chutney on the Internet, but had to tweak it a little bit and below you have a final, my version of it. Classic New York style cheesecake... recipe by Anna Olson. Probably everyone, but everyone heard (if not even tried) New York style cheesecake. Well, I've heard about it many times, but tried it for the first time in my life only now. I have to admit something here - I'm not a fan of lemony cakes, lemon creams etc. as I always find them tasting somewhat "fake", like a washing up liquid (that's how I fell about them anyway). This wasn't the case though. I liked the cheesecake a lot! Mind - it IS very rich and I needed a good cup of strong coffee with it! The only bit that was too lemony for me was that lemon cream topping (but it was easily removable ;) ). All in all I loved it! But next time round I think I'll swap the lemony cream on top for the raspberry one - so the sharpness of the raspberries will cut through the very rich cheesecake. If you haven't tried New York style cheesecake yet - do it! And do it asap, cos you don't know what you're missing! 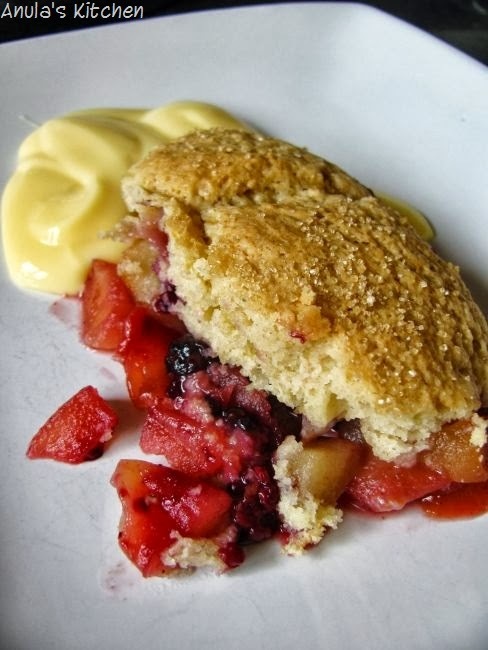 What is your favourite crumble? Are you a traditionalist in that department and go for apple or do you experiment? Tell me! First time making churros and... a good time! Perfect little doughnuts, perfect as an accompaniment to your coffee, or better yet - a hot, thick hot chocolate! In Spain it's something for breakfast and you can't blame them - indeed it's a great way to start any day! 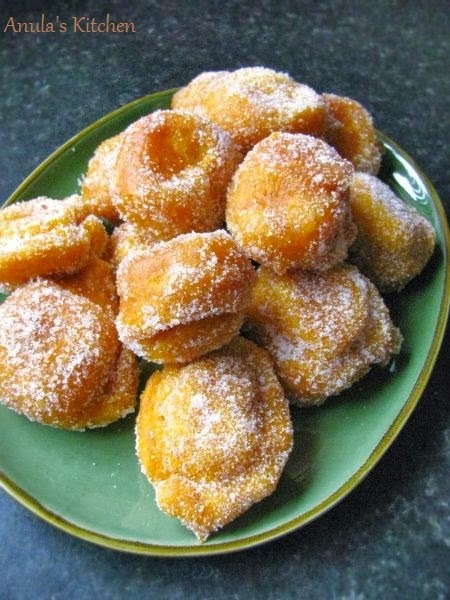 The recipe is very easy and process which leads to making those little treats is even easier. But they are addictive - even my 1 year old is addicted by now! ;) So consider yourself warned... By they way - they reminded me a little of Italian struffoli, which I completely adore! Better late than never... 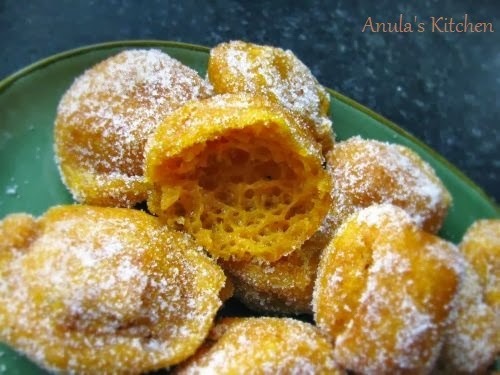 I know that the reveal date is on the 14th of each month but... My life was a little bit disturbed from its normal routine recently, that's why I had to "neglect" my lovely Anula's Kitchen, but just for few days - hope you'll forgive me... Back to the recipe! I loved the chicken ad I really loved the red rice stuffing too! The chicken (to my huge surprise) was still nice and moist, not dry at all (as it can be the case with chicken, very often...) and the sauce complimented the whole dish beautifully. This one is definitely a keeper! And it's nice for a change, not to be bothered with the whole "bone thing" while eating, just enjoy.